In August we had a grand opening of Buildbox for 7 days. During this time over 500 people got the software and then we closed down the release so we could work out any issues or bugs that might arise. We’ve been lucky and things are running very smooth. When we hit version 1.1, we’re planning on opening it back up again (at this point for good). 1. When will it be released again? We don’t have an exact date, but we’re shooting for October. 2. What all is included with Buildbox? Buildbox includes a full license to the software, a starter pack of art that has over 3,000 images you can use in your games, a sound pack with music and effects, and a full training suite of over 50 videos. Half of the videos are technical in nature and teach you to use the software and the other half are business training explaining what I’ve learned after 13,000,000 downloads. Here’s an example video from the series. Hello Trey Smith How do you get buildbox for free. Can we buy buildbox for lifetime in single installment? Hi can you please tell me when the 2.0 30 days challenge is going to release. 1.) Just curious does the buildbox software allow for the use of accelerometer features like tilt, shake and so on? 2.) Any plans for buildbox to include the use of the smartphone’s camera features within game app’s ? 3.) Can I easily import my own sounds created from Fruity Loops for my games ? I finished my 1st little game on the trail you made and I’m ready to export it, but, I can’t export to Android or IOS. Do I have to purchase the full thing if I want to do this? Yes, unfortunately the 15 Day Trial does not export to Android or iOS we’re very sorry for any inconvenience. I’m really enjoying the software, the problem here with me and that he not be accepting sound. What do I do? Hi, I have a question about Buildbox. Can it make match 3 games and can it edit match 3 source code you made for free download. Hi that option is not currently possible in Buildbox. However, you can make these types of games and more. The original games are listed for inspiration. Buildbox may not be able to make the exact games in every case. I have the match 3 source code that was for free from last year. Can I reskin it and make it different for commercial use. Also may I ask, since I couldn’t open the source code because l totally couldn’t open coco2dx. When talking to programers or artist how can I give them information about the source code. For example number of images to reskin or design assets. Really appreciated your answer, it made things clear. Also, I talked to a designer/programmer about changing the game. I couldn’t answer basic questions like how many graphics need to be change. It’s because I can’t open the source code. Is there a way I can show them what needs to be change like an asset list. Or a way for me to see the game so I can see what needs to be change.Without me being able to open the source code. Hi contact our support team at support@buildbox.com they can help you with any specific questions you might have. Thanks! Hi Joshua, please contact our tech support at support@buildbox.com and they can assist you. That’s awesome Dafe! Thanks for participating in the 30 Day Game Challenge. :) Feel free to share/post your game on the Buildbox Facebook page. I’m almost done with the 30 day challenge, And despite the current limitations have made a pretty decent climber type game.. However the only devices we have in our household are windows computers and android phones.. But there’s no option to export to Android to test it there, And compiling a windows EXE makes the gamefield too large to play and therefor impossible to play or test on a 1280×720 display. :/ Is there ANY way to not nesessarily publish the game for android, But be able to copy it over to test at least the display aspect? Yes, if Window EXE is too big we can fix it for you and make it fit in your resolution. Take a screenshot and send it along with your email to our customer support team at support@buildbox.com and they’ll assist you. Hi Frank, for details on subscription and purchase options please contact our support team at support@buildbox.com they can answer any questions you might have about that process. Hi, I am almost done with my game in the 15 challenge, but i can’t export to iOS. i was wondering if there is something you need to do to export it. Hi Frank, unfortunately in the 15 Day Game Challenge there’s no option to export to iOS. During the free challenge participants can only create and export games for Amazon, Windows, Windows EXE, and OSX platforms. I just downloaded the free version and it seems that after 15 minutes of use BuildBox version 1.1 crashes. I believe there is a but in the software as this only seems to happen when i am building a motorcross style game. I believe it has something to do with the new enemy collision system. I think this system can be very useful and powerful however it is unusable at the moment. Please fix the bug and it will be great! Hi Youssef Asadd, please email our tech team your BBDOC file and inform them of your issue at support@buildbox.com and they’ll assist you. Thanks! do you have any plans on going public? I would like to invest at some level. I’m not a gamer but I see the potential. Just an idea, think about combining 3d printing, interaction, gaming. Seems plausible to me. I’m Tom Rader and I do believe in Dreams to Reality. Where can I find the tech requirements to run Buildbox on my machine…is it for Mac or PC? I think this engine functions like adobe flash, so look up the min. req. for adobe flash. Why is this software so expensive? In Australian dollars its $3085 that’s quite a lot Unity is free and pro costs half the price, is it the image licenses but honestly I thought it would be at the most $100 dollars and the fact it is not true 3D is mind boggling…. I really do like the product and its very intuitive but I know your advertising to the casaul audience but do you expect them to pay $2.6k for something they could do in game maker!And it has not been in development that long either! What like 20 months? Let me remind you Unity was in developmemt since 2003! Really drop the price to $100 dollars at the most and please use the overview video in your ads. I would really like an explonation! 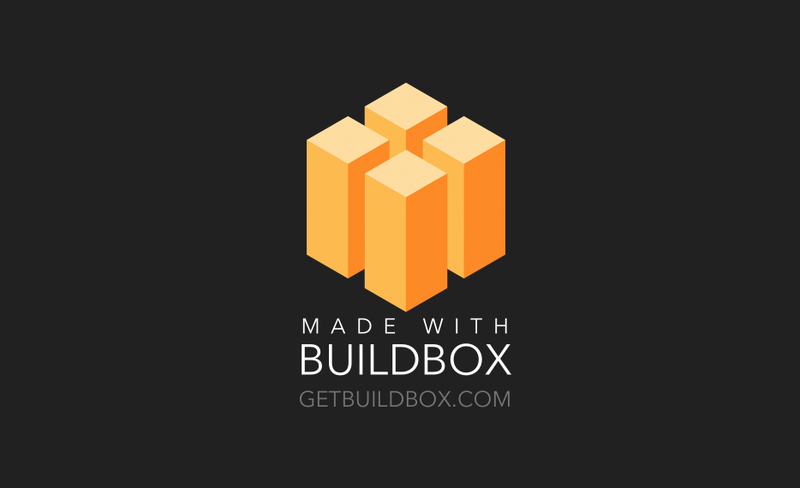 First off, thanks for the kind words about Buildbox. We’ve worked really hard on it and it means a lot. As for pricing, while we’re very different than Unity in many ways, but we’re actually a good bit cheaper. We don’t have add-ons with Buildbox, so you don’t have to pay more to export to iOS, Android or get all the features. For comparison, it cost $4500 USD to unlock all of Unity’s features. As for Gamemaker, Game Salad and the like… We like those tools, but what we created is very different. All the other options on the market are very difficult to use unless you know programming or scripting and most are hobbyist based, having limited monetization options. Our customers are mainly game business owners or game entrepreneurs starting a new business. They are interested in being able to create good unique games quickly that are fun to play and monetize well and Buildbox delivers that. Is it a niche? For sure. We also own GameAcademy.com and created Buildbox because this small “DIY game entrepreneur” market was growing and we wanted to grow with them. We totally understand this software isn’t going to work for everyone, but for the people that do like it, they can build successful businesses with a single investment and nothing else except occasional art and sound. I want to buy it right now, but scared to miss the new version 1.1 When will it be released and if I buy now will I get the upgrade? All versions until 2.0 are free. Every 1.X release will have some cool new features and we have some great plans for 1.5. We won’t do a whole new version until the end of summer at the earliest. When version 2.0 comes out is there a price to upgrade? Or do you need to buy the new software? Hi Eric, we are currently working hard on updates to the 1.0 branch of the software. At this time we do not have complete plans for 2.0 and unfortunately can not answer that particular question yet. Trey can you get older versions for free?